Running is more than a hobby, it’s a passionate commitment to getting fit and staying healthy, plus it’s fun and energising. With more of us running in concrete jungle, the same scenery and typical jogging tracks can get tiring. So why not amp up our goals and pick different running spots? Whether you’re out travelling for a business trip or on a family vacation, these fun spots across the country will get you back on track with your goals. Motivate yourself at these spots that have also witnessed the journey of the adidas Ultra Boost X shoes and fitness bloggers from across different walks of life. There are few spots as iconic as India Gate and Rajpath.This spot is abuzz with runners from as early as 4 am, and the scenic symmetry of the route will get you pumped! With adidas Runners Sony Kaur and Reeti Sahai spotted running at India Gate, along the Rajpath route, carrying on the journey of adidas Ultra Boost X – so you’re definitely in good company. The sea breeze through your hair, as you jog along the Queen’s Necklace? Marine Drive will inspire you to break away from the regular parks and running tracks. With National Racing champion, Alisha Abdullah spotted running at Marine Drive with the adidas Ultra Boost X – this spot is for those who run like the wind! Why run alone when the waves breaking on the shore can accompany you? For quick tips and inspiration, follow Alisha Abdullah on Instagram! How can anyone resist Cubbon Park? Rightly called the Lung Area of Bangalore, this is definitely the perfect spot for runners. You might even spot the top fitness experts running right next to you! The National gold medalist sprinter, Varsha Rohit was spotted running at Cubbon Park, carrying on the journey of adidas Ultra Boost X. For quick tips and inspiration follow her on Instagram! This popular picnic spot attracts runners and fitness freaks all the time. The 2.2km long track over here, with its slopes, will give you the perfect run! And if you’re up for a workout session, you can always head over to the gym at Indian Habitat Centre. With amazing facilities and the latest equipment, head here to join the ranks of adidas runners Sony Kaur and Reeti Sahai. Opening time: All days of the week from 6am to 7pm. Formed from the massive basalt outcrop, the Kanheri Caves, situated inside the Sanjay Gandhi National Park is perhaps the most peaceful running spot in all of Mumbai. Dayana Erappa, the supermodel was recently spotted taking a long distance run with adidas Ultra Boost X in the national park. Once here, you can also go for a jungle run that’ll definitely get you inspired to stay on top of your fitness goals. 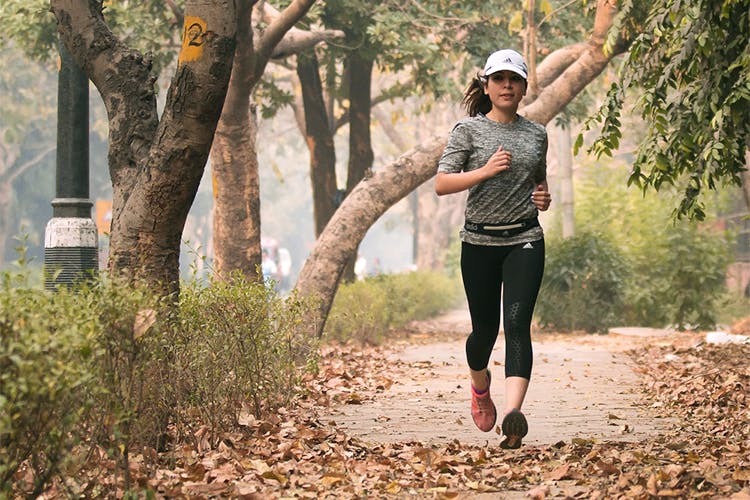 Runners’ paradise, Sankey tank is a serene stretch of land, adjoining a manmade lake, which offers a peaceful environment to all fitness enthusiasts. The jogging and running trail is well marked and there’s a garden where one can do pre and post running exercises. So, where are you starting your running journey from? For fitness tips and information on training sessions, follow adidas Runners on Facebook, Twitter and Instagram.